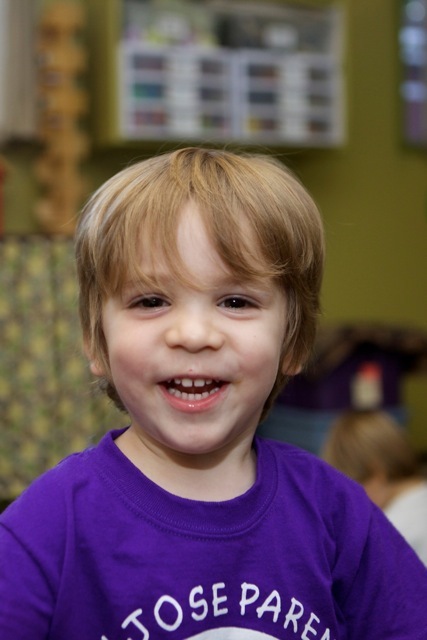 The 1-Day Class is designed to be a gentle introduction into the co-op preschool setting while spending quality one-on-one time with your toddler. 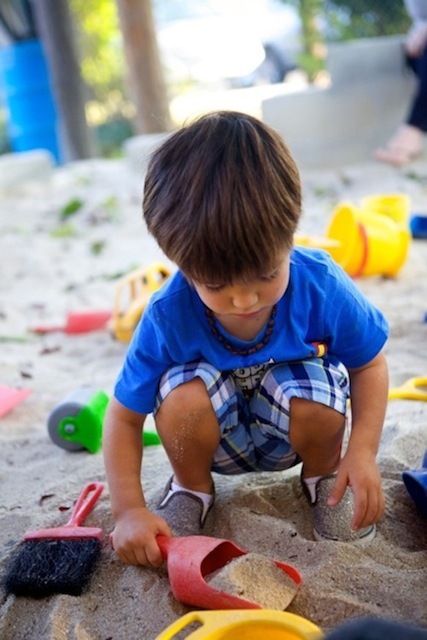 While visiting a variety of activities throughout the classroom, the parent will be able to observe and interact with their child while they create, play, explore and discover new things. 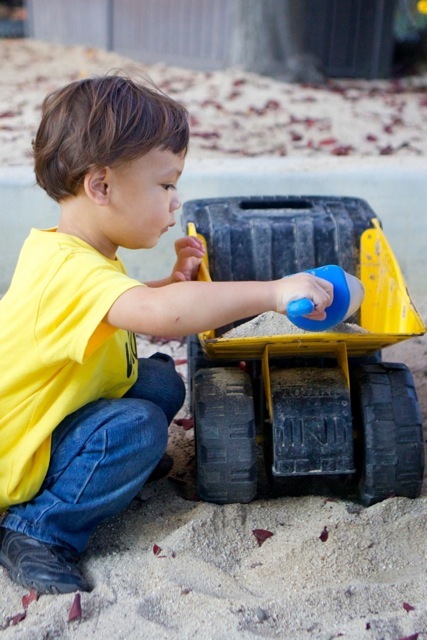 Young toddlers are always on the move, they are tactile, and they enjoy experiencing things using all their senses. Therefore, water play, shaving cream, goop, play dough, paint, and art projects that require glue are the staples of the curriculum. For those children who may not feel like getting “messy,” we have trains, cars, blocks, crayons, dress-up and puzzles. 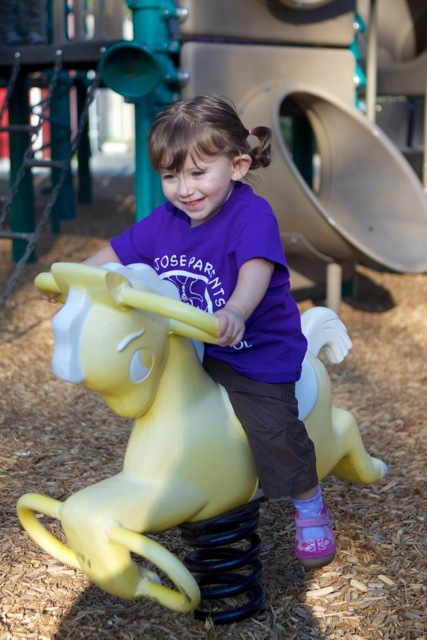 When they want to run around, our outdoor classroom has paths for bike riding or pushing a cart, grass for running and jumping, a play structure for climbing and a sand pond for digging, scooping, and playing with water on those warm days. Given that toddlers are always moving and quite expressive, we also have Circle Time during our time together. It is an opportunity for children to experiment with instruments, rhythm and movement, supported by a well-designed program. As well as being given this gift of one-on-one time with your child, you also have the opportunity to meet new families, develop new friendships and share the joys and frustrations of parenting. During each class day, the teacher meets with the parents to discuss their child’s development as well as providing articles that address questions and/or concerns about development and parenting. Though we meet only once a week, it is a wonderful opportunity for families to experience the rewards our pre-school offers both the child and parent. In our 1 day class, we have a standard class size of 24 children. Parents are expected to attend class with their child each week. Families rotate having the responsibility for bringing snack for the whole class. Each family can expect to do this approximately twice per year. There are approximately 5 stations around the classroom, each focused on different educational areas. Your child(ren) will make their own choices on which stations to visit and which activities to engage in, and you will assist them with any activities they need. This is your chance to enable your child(ren) to explore, get messy, and learn in an environment that encourages experiential education. Working at a co-op means you are ready to engage with children and contribute to the school. Our school’s only paid employees are the teachers and a bookkeeper, which means that everything you see and love about our school, from it’s cleanliness, to it’s beautiful gardens and well-organized indoor facilities are done by the families at our school. When you join our school, you join our community of families, dedicated to creating an outstanding preschool environment for our children. 2:00PM Arrival Time. Parents and children arrive and the teacher will greet each child. Parents will grab a work-card with detailed cleanup time instructions. 2:00PM Exploration and Activity Time. All of the activities will be set out by the teacher and ready to go. The children are allowed to take the lead and explore freely inside and outside the classroom, choosing for themselves which stations and activities they want to experience. 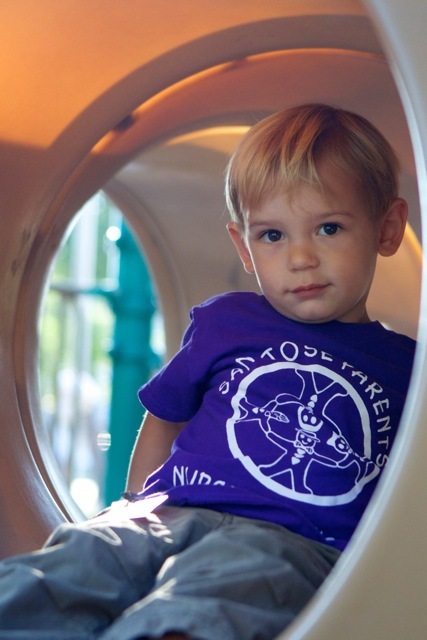 The parent’s role is to observe and help where needed, while the child explores the variety of activities. This is also time for parents to talk amongst each other to share the joys and challenges of parenting, as well as getting to know each other. 3:00PM Cleanup Time. During this time parents will refer to their work card to clean and sanitize the necessary areas. The parent who is assigned for snack that week will begin to prepare the snack for all children. Snack will be served 12 children at a time. 3:15PM Circle Time Group 1/ Snack Time Group 2. Twelve(12) children and their parents will join the teacher in the Block Room for Circle Time while the other 12 children, with their parent, will be snacking outdoors, weather permitting, or at the Art table. The snack parent will supply the snack. 3:30PM Circle Time Group 2/ Snack Time Group 1. The remaining twelve(12) children and their parents will join the teacher in the Block Room for Circle Time while the other 12 children, with their parent, will be snacking outdoors, weather permitting, or at the Art table. The snack parent will supply the snack. 3:50PM Goodbye Time. All of the children and their parents will meet in the Block Room to sing the Goodbye song.